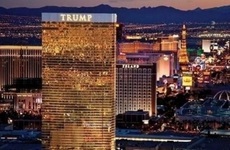 Spa, Pool, Gym, Meeting Room, DJT Restaurant, H2U Restaurant, DJT Bar at the hotel lobby. we usually reply to request with in one hour during the day. its close enough to walk to anywhere, however the hotel does provide free shuttle to Wynn Hotel & Casino and Caesar’s Palace. And there is always taxi available.